Personal debts can be the most debilitating liabilities. In order to get rid of them, and to achieve more financial freedom, you have to follow certain debt reduction practices, detailed further in this post. People adopt different strategies to reduce their debt burden. American spending habits are producing more people who are deeper in debt, than people trying to achieve financial freedom. Personal debt reduction begins with a reevaluation of the money you spend and the money you make, and requires a commitment to stop the debt increment cycle. Self-reflection will tell you if your priorities are in the right place, and you can then begin to prune your spending to better reflect what is important to you, as well as save money spent on debt. Analyzing which debt and interest accrues fastest will help you prioritize which debts to pay off first. Write down your plan of action and then hold yourself to the promises. Financial freedom is within your grasp, with just a little time and effort on your part. Each good decision builds on the one before, to create a snowball effect of success in the debt repayment game. 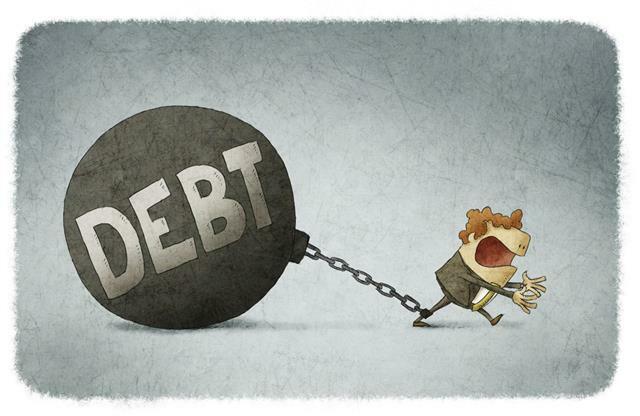 If your debt situation is really bad and out of control, you may consider declaring bankruptcy. That may wipe out your debt, but it can be a very unpleasant process to go through. The laws vary greatly between countries, but can sometimes be quite draconian, and greatly inhibitory for your future actions relating to money. Debt reduction by bankruptcy is an extreme, which, if at all possible, should be avoided by those who have pride and wish to make a genuine attempt to resolve their debt problems, and plan for a better financial future. With lower amounts of debt, you have more of a chance. So it really does depend on both, the debt level and your personal situation, current income etc. In the long term, it is definitely possible, but there again, the difficulty level will depend on the amount of debt and other personal circumstances. Regardless of your personal and financial circumstances, your education and your background, the first step to reduce debt is a change in your mental attitude towards saving and spending. The Western mindset, especially in the US and UK, is firmly fixed on consumer debt and the use of credit cards. It is the way we have been reared in a debt-ridden society. To be realistic, let us assume that total debt reduction is not practical, nor necessarily desirable, from a financial point of view. The one major exception is buying a house. When you buy a house, very few people are likely to be in a position to do so with cash. Unless they have inheritance, are very wealthy, are moving down the house market, or moving from an expensive to a cheaper area, people buying a house will require a mortgage loan. There can be considerable financial gains in the long run from taking on mortgage debt. Firstly, you have to live somewhere, so living in your own home is more desirable than renting for the rest of your life. Secondly, if you are lucky, the capital growth on the house, over the years, will increase your underlying wealth, in a way that cannot happen with rented accommodation, which has the opposite affect. So, let us assume, for the purpose of this, that by debt reduction we mean the reduction of all your consumer debt, except your home mortgage. You may well find that if you can change your mindset, to be strictly against unnecessary borrowing to feed your wants, that mortgage will be paid off much sooner. When you reach that stage, there is every possibility that your debt reduction will be complete, and your mindset will be so changed that there will never be a need to take on any new debt.